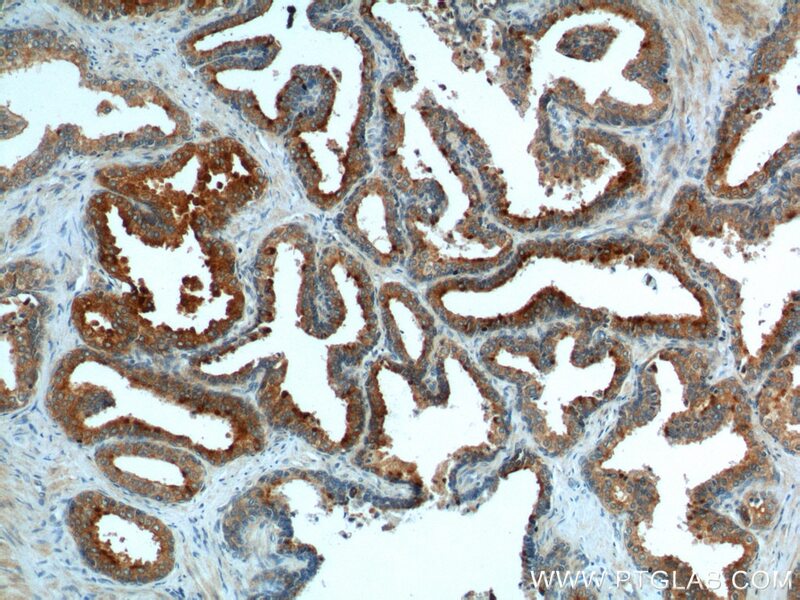 BAD, also named as BBC6 and BCL2L8, promotes cell death. It is successfully competes for the binding to Bcl-X(L), Bcl-2 and Bcl-W, thereby affecting the level of heterodimerization of these proteins with BAX. BAD can reverse the death repressor activity of Bcl-X(L), but not that of Bcl-2. It appears to act as a link between growth factor receptor signaling and the apoptotic pathways. Silencing prion protein in MDA-MB-435 breast cancer cells leads to pleiotropic cellular responses to cytotoxic stimuli. 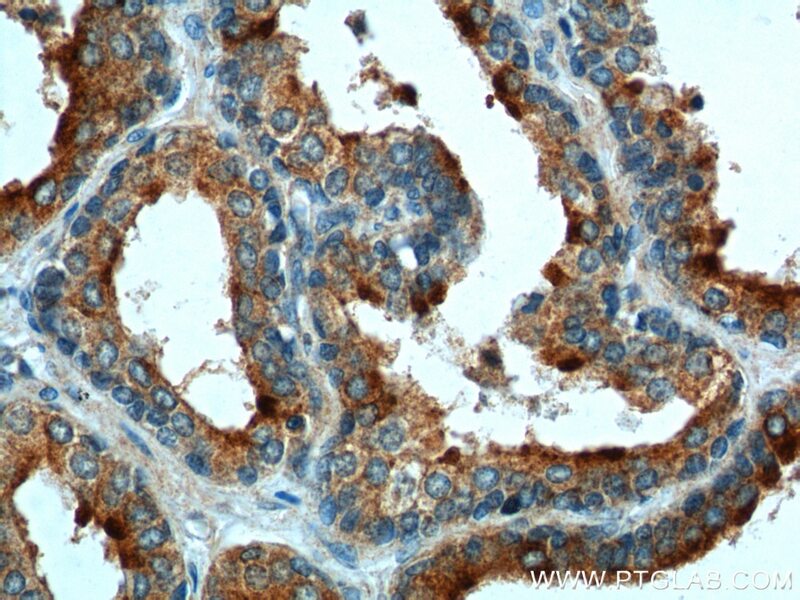 Serine threonine kinase Pim-3 regulates STAT3 pathway to inhibit proliferation of human liver cancers. 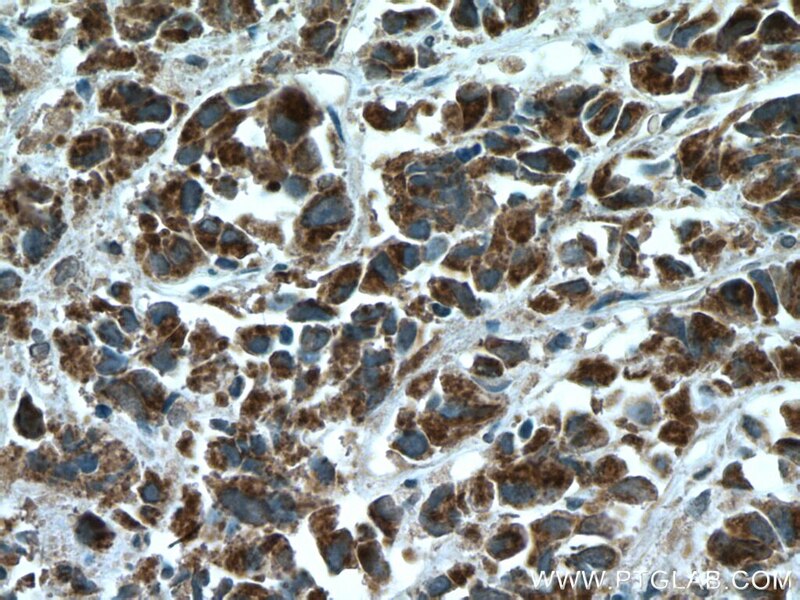 Recombinant hirudin suppresses the viability, adhesion, migration and invasion of Hep-2 human laryngeal cancer cells. 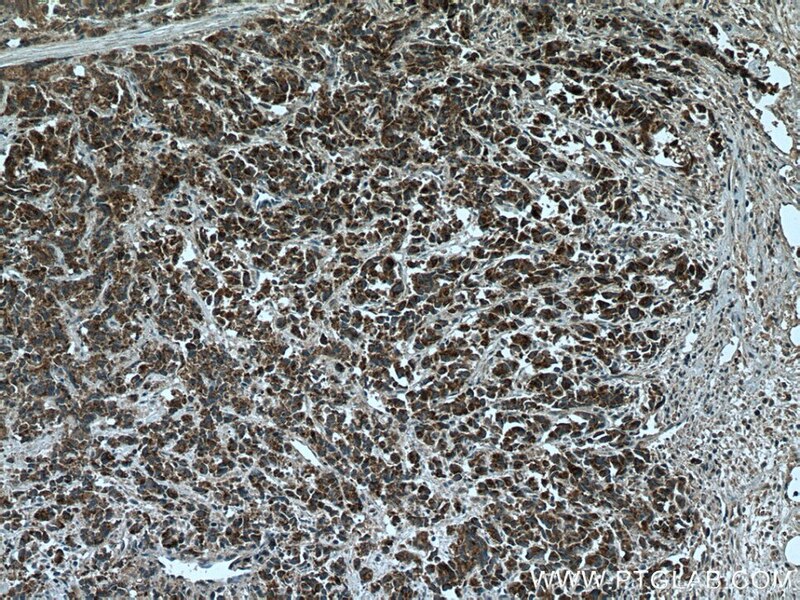 Novel taspine derivative 12k inhibits cell growth and induces apoptosis in lung cell carcinoma. Effect of Huaier on the proliferation and apoptosis of human gastric cancer cells through modulation of the PI3K/AKT signaling pathway. 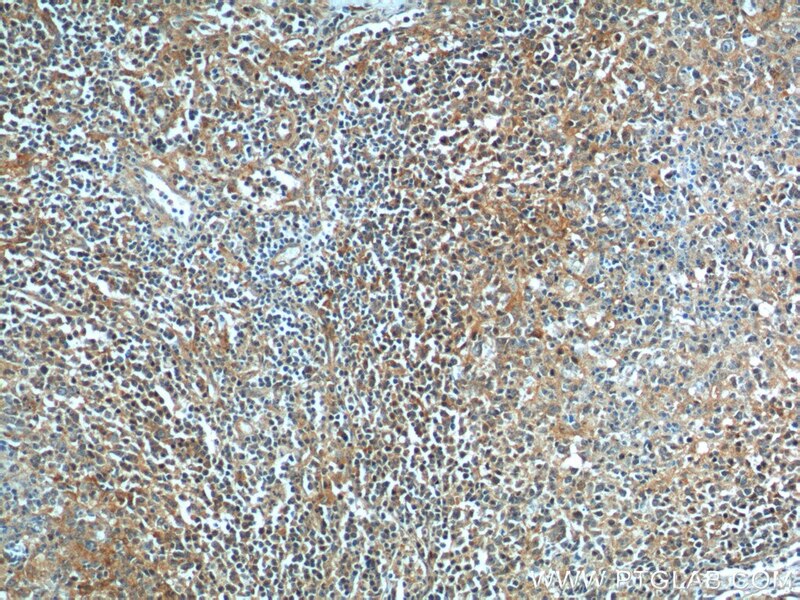 Immunohistochemical analysis of paraffin-embedded human prostate cancer tissue slide using 10435-1-AP (BAD antibody) at dilution of 1:200 (under 10x lens) heat mediated antigen retrieved with Tris-EDTA buffer(pH9). 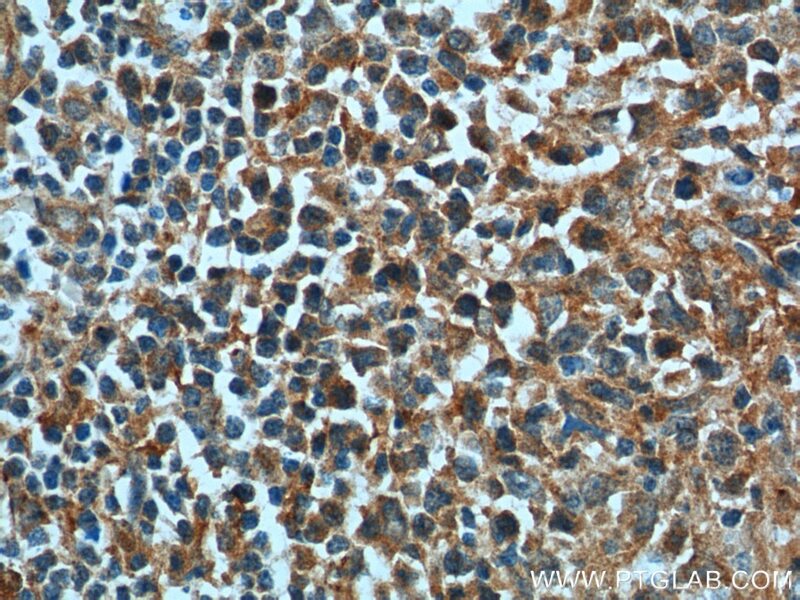 Immunohistochemical analysis of paraffin-embedded human prostate cancer tissue slide using 10435-1-AP (BAD antibody) at dilution of 1:200 (under 40x lens) heat mediated antigen retrieved with Tris-EDTA buffer(pH9).